At least two hundreds migrants are dead after the motorboats they were travelling on sank in the Mediterranean Sea, the UN’s refugee agency says. “Nine were saved after four days at sea. 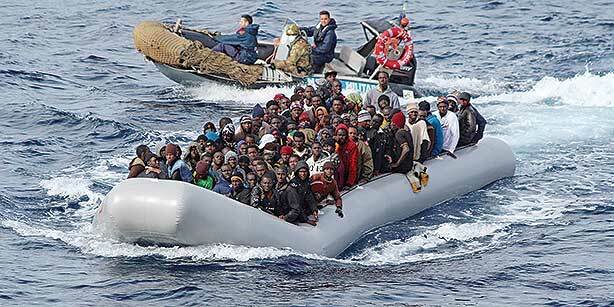 The other 203 were swallowed by the waves,” UNHCR’s spokeswoman in Italy, Carlotta Sami, said on Twitter. She called the situation a “horrible and enormous tragedy”. On February 9, at least 29 migrants died after the inflatable boat carrying them overturned in high seas. 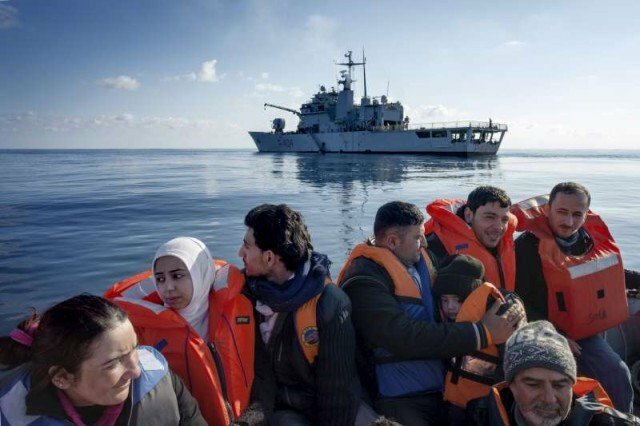 The International Organization for Migration (IOM) says the two boats involved in the latest tragedy to befall migrants bound for Europe crossing the Mediterranean Sea had departed from the Libyan coast on February 7. The IOM says that each boat was carrying more than 100 people when they capsized, probably on February 9. The Italian government launched a search and rescue mission called Mare Nostrum to patrol the waters off the Libyan coast for ships carrying migrants that may have run into trouble in response to a previous tragedy off the coast of Lampedusa. The mission was launched after a fishing boat capsized off the island in October 2013, killing 366 people, but was disbanded a year later. Italian and Greek coast guards saved more than 300 migrants from rough waters in two separate incidents. The Italian navy said it picked up 233 people, mostly from African countries, who had been stuck in an “overcrowded” vessel south of Sicily. Meanwhile Greek coast guards rescued 85 migrants off the island of Astypalaia. Every year thousands of African and Arab migrants fleeing war and poverty risk their lives trying to reach the Europe. Greece and Italy are both main entry points for those who attempt to make the dangerous sea crossing. In October more than 400 people drowned in two shipwrecks near the Italian island of Lampedusa. Many of them were from Eritrea and Somalia, but the civil war in Syria has also resulted in an increased flow of migrants trying to reach Europe. Italian officials said on Thursday that the migrants were rescued from a 33ft-long boat about 80 miles from Lampedusa. “Considering the rough seas, the overcrowded boat and the precarious conditions, a situation of emergency was declared,” the Italian navy said in a statement. It added that the migrants were in good health and had been ferried to Sicily. They are reported to have come from Eritrea, Nigeria, Somalia, Zambia, Mali and Pakistan. Greek authorities said they picked up migrants near Astypalaia after receiving a distress signal from the vessel’s captain because of bad weather. 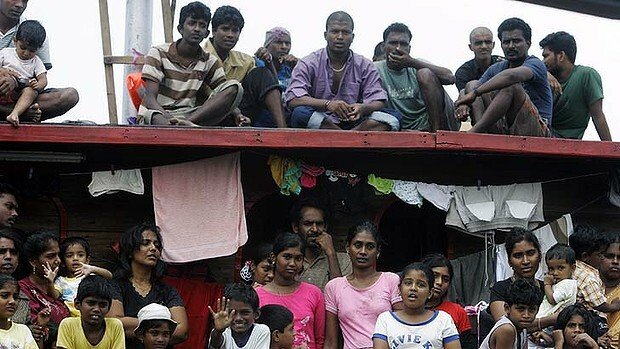 Women and children were among those rescued. In the past, human rights organizations, including the UN refugee agency UNHCR, have strongly criticized Italy and Greece countries for “push-backs” – a policy of sending migrants back to their point of departure. In the aftermath of the Lampedusa shipwrecks, the Italian government launched an operation called “Mare Nostrum”, mobilizing warships and aircraft to prevent further tragedies. Italy has also called for help from other EU states to deal with the migrant influx. The European Commission has asked for more resources for joint sea patrols, and more co-ordination with countries that migrants embark from, such as Libya. 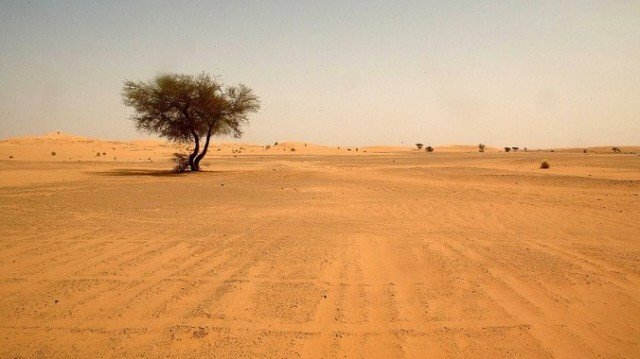 The bodies of 87 people who died of thirst after their vehicles broke down as they tried to cross the Sahara have been found by rescue workers in Niger. According to Almoustapha Alhacen, one of the vehicles that the migrants were travelling in broke down some time after they left Arlit at the end of September or beginning of October. On Wednesday, volunteers and soldiers working in searing heat found other corpses about 6 miles from the Algerian border. Speaking from Arlit, a centre for uranium mining north of Agadez, Almoustapha Alhacen said he had experienced the worst day of his life when he found the bodies. They were given Muslim burials where they were found, he said. Given that at least 48 of those found were children or teenagers, Almoustapha Alhacen said it was possible they were on their way to low-paid jobs in neighboring Algeria. It is not clear which countries the migrants came from. “There were no clues. My guess is that the children were madrassa [Islamic school] children, being taken to Algeria to work. That is the only explanation that I and others can find for such a large number of children having travelled together,” Almoustapha Alhacen said. About 80,000 migrants cross the Sahara desert through Niger, according to John Ging, director of the UN Office for the Co-ordination of Humanitarian Affairs.